Recognizing The Professional Accomplishments Of Our EACOE Members. All Members will receive a certificate, lapel pin, and a membership card, colored to denote the appropriate enterprise architect classification, and noting the expiration date of the classification certification. Recognizes those EACOE members who have demonstrated classroom performance and presentations, and successfully completed the EACOE Certification Workshop and associated modeling activities. Valid for up to two years from successful Enterprise Architecture Workshop completion. Recognizes those EACOE members with at least 3 years of professional experience, and who have demonstrated performance that sets them apart from their peers. Recognizes those members, with at least 5 years of professional experience that have made significant accomplishments in the Enterprise Architecture field. 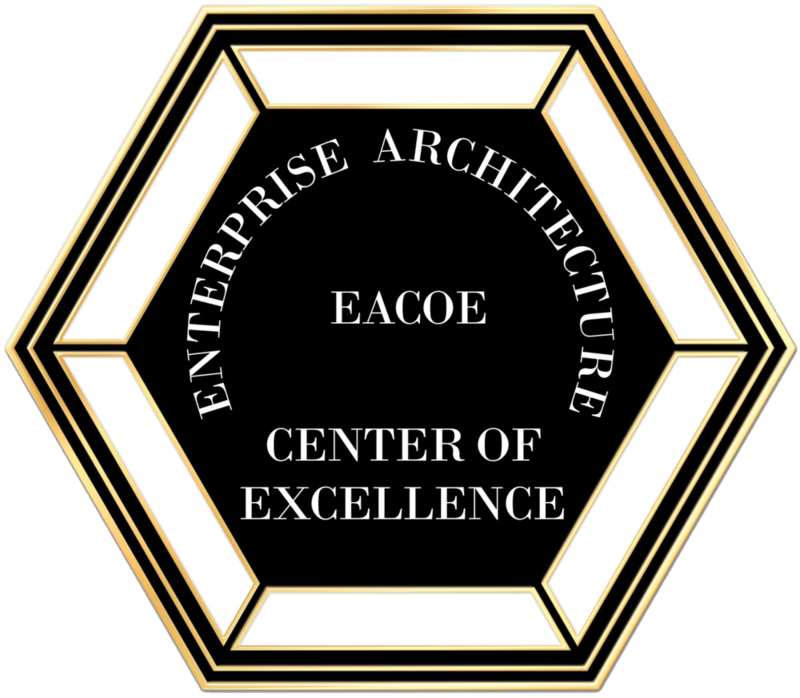 Our most prestigious membership, recognizing the top EACOE members for their outstanding accomplishments in Enterprise Architecture. The progression from one membership grade to the next is not compulsory. The accomplishments outlined meet the Enterprise Architect best understanding of the criteria for Senior, Distinguished, or Fellow Enterprise Architect. Certified members will also have access to a secured area of our website with member content. Ready to become a certified Enterprise Architect?